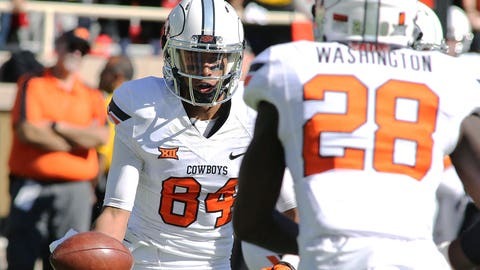 The Cowboys improved to 8-0 on Saturday, beating the Red Raiders in Lubbock, Texas. There is no shortage of offensive highlights in the Big 12 this year, and No. 12 Oklahoma State added to the list during a 70-53 win over Texas Tech on Saturday. Up by four in the fourth quarter, the Cowboys got creative with one of their play calls to score a crucial touchdown.